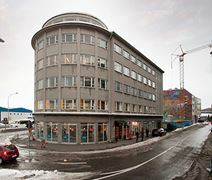 Located in one of the most popular business zones in Reykjavik, this flexible office space is just a short drive from the BSÍ Bus Terminal, in an area popular with companies from insurance, health care, retail, electronics and smaller firms. The centre features a diverse range of professional services including; spacious meeting rooms, copy and printing facilities, training rooms, reception desk, high-speed internet, on-site administrative support team. Additionally, the office building is well connected via public transport and is proximate to the airport, allowing your travelling clients or employees to remain connected at all times. Situated just 10 minutes from the centre of Reykjavik, this flexible work space is ideally located in the Kopavogur business district and offers both private and co-working office options, all available on flexible terms. The office-spaces are accessible 24-hours a day and feature a wide range of other useful services including; break-out rooms, lounge areas, high-speed internet, meeting rooms, IT support and an on-site fitness centre for employees that enjoy exercise before or after working hours. The centre is well connected in terms of public transport, proximate to a useful local bus network. The area is also surrounded by local amenities such as bars and restaurants. Moreover, the international airport is a 30-minute drive from the building, perfect for travelling clients and/or employees. Found in a premium location, this business centre offers brand new, modern office spaces. You can choose from a selection of private offices, coworking spaces and meeting rooms. A contemporary drop in business lounge provides a great information working or meeting space. Membership is affordable and flexible. The neighbourhood offers a range of restaurants, trendy cafes and shopping facilities. Fitness centres can be found within walking distance. The centre is within walking distance of downtown Reykjavík, Harpa concert hall and conference centre. The offices are located on the 17th floor with access using the lift. Enjoy the magnificent views over the ocean, Reykjavik harbour and the majestic landscape surrounding the capital with mount Esja in the middle. 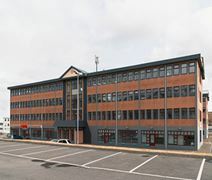 The building is easily accessible by car with parking available around it, and you can also benefit from an approachable admin team, this team can assist you with telephone answering, mail handling and greeting your clients. 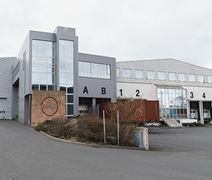 Strategically located on Skutuvogur and just 10 minutes away from Reykjavik airport, in an area surrounded by warehouses and logistical solutions. This centre exhibits plenty of professional features including; 24-hour access, videoconferencing facilities, lounge areas, equipped kitchen area, dedicated reception service. This centre is well connected to local bus routes as well as the airport. Surrounding the centre is a wide range of local amenities such as restaurants, hotels, bars and retail outlets. In the heart of Reykjavik and just 10 minutes from the airport, this private and collaborative workspace is available on flexible terms and also offers a meeting room suitable for up to 20 people. Opposite The Black Pearl Hotel and the famous i8 Gallery. The centre features a host of professional services such as; spacious meeting rooms, 24-hour access, copying facilities, break-out areas and fully equipped kitchen. The building is well connected via local bus routes and the centre is surrounded by an abundance of local amenities including retail outlets, bars, cafes, banks and libraries. Found in the heart of Kópavogur, this business centre offers a range of modern office solutions including coworking spaces, private offices, meeting spaces and virtual office options. A convenient drop-in business lounge provides an informal work space and the perfect place to meet with partners and clients. You can enjoy refreshments throughout the day with an on-site coffee bar and chill-out in the outdoor seating area. The centre is easily access with only a 40-minute journey to the airport and plenty of bus connections. The neighbourhood offers a range of restaurants, shopping and recreational activities.